In 2015, all across the country--in faith-based programs, in schools, in doctors' offices, in recovery support centers, and in treatment programs--NACoA, its affiliates, and partners have helped to melt away the hurt and confusion for thousands of children. We did this by providing training and tools that help professionals and other caring adults who touch children's lives everyday to recognize and support the suffering silent children who need them. 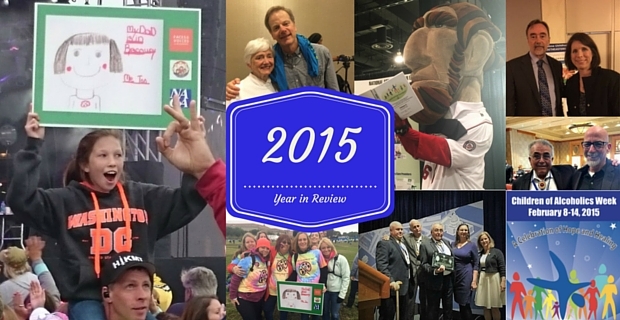 These are a few highlights of this year's programs, trainings, advocacy and outreach efforts. NACoA's Celebrating Families!TM whole-family recovery curriculum program is being integrated into the healing work of the Wellbriety Movement. So far, several communities have been trained in the program, and two communities have successfully implemented the first round of the 16-week program. 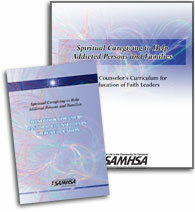 The Special Programs on Substance Abuse and Related Violence (SPSARV) of the United Methodist Church is providing support for the expansion of this joint program in Native American communities. Wellbriety created a video to capture the experience of the most recent training in Colorado Springs earlier this month. NACoA President/CEO Sis Wenger contributes NACoA's perspective about children and families to the current discussion of addiction and recovery support issues. The column offers strategies for advocating and supporting children and families impacted by a loved one's addiction. In 2015, NACoA presented nine new educational webinars in its ongoing series, Understanding Addiction and Supporting Recovery, to assist clergy, other pastoral leaders, congregational lay leaders and volunteers. One-day, in-person seminars were presented in the Mid-Atlantic region in partnership with the American Association of Pastoral Counselors. Pitch 4 Kidz, a program of Hope Network, headquartered in Phoenix, AZ, joined NACoA's Affiliate Family in November. Pitch offers a 3-day psycho-educational workshop for children ages 6-12 designed to help break the multigenerational cycle of addiction and offer hope for family recovery. Caron Treatment Centers, headquartered in Wernersville, PA, joined us in November. With facilities in several states, Caron serves adolescents, adults and seniors, and offers a program for children impacted by familial addiction. The National Association for Children of Addicts - New Zealand (NACOA-NZ) joins our family of national NACoA organizations, with a focus on becoming the voice for all New Zealand children impacted by the alcohol and drug use of parents.